Post Tagged with: "villa group scam"
The Villa Group Timeshare, Scam? Are you concerned about being scammed by a timeshare in Mexico? Perhaps you are wondering more specifically how you can prevent a Villa Group Timeshare Scam from happening to you? You are in the right place. Here you will find out how to protect yourself from a Villa Group Timeshare Scam and how to make sure that you purchase a genuine timeshare from this leading vacation ownership company. In the 90’s the rise of timeshare scams put a damper on the timeshare market and gave it a bad name. Thankfully, consumer laws were soon put into place to make sure that people looking to purchase vacation homes were protected. Nowadays, it is very hard to be scammed by a timeshare company when you purchase your timeshare from a reputable timeshare company or vacation club. However, be warned, there is danger lurking if you purchase a resale timeshare or if you fall foul to cancellation or rental scams. How likely is a Villa Group Timeshare Scam? The potential for falling victim to a Villa Group Timeshare Scam is minimal and can be non-existent if you purchase a timeshare straight from the Villa Group. As mentioned earlier, timeshare scams exist and the danger comes not when you purchase from genuine companies but when you are dealing with resales, cancellation companies, class action action lawyers and rental agents that charge upfront fees etc. The best way to avoid a Villa Group Timeshare Scam is to go directly to the company and cut out any middle men. So, how can you be sure that the Villa Group is a not a scam? If you research Villa Group Scams, then you will see that the Villa Group has an impressive reputation. The Villa Group timeshare division have several resorts in Mexico, located in prime beach destinations. The Villa Group and its owners have over thirty years of experience in providing vacation timeshare products to thousands of happy members and are continuing to develop resorts in top locations. The Villa Group has a long history in the timeshare industry, so the chances of being scammed by Villa Group are very rare and unlikely to happen. If you join the Villa Group and purchase one of its timeshare products, then you will be treated like a valuable customer and not just a number. You will receive personal attention and experience that will make you feel like you have joined a new family. As I have mentioned earlier, when you deal with the Villa Group directly, then there will be no risk of a scam, but you should be aware that if you are approached by a salesperson who takes you to a location outside of the resort, you could be in danger of a rogue scammer (someone who pretends they are selling you a Villa Group product when they are not in fact part of the company). There are some fake sellers out there who claim they represent the top timeshare companies and then they try to sell you an invalid timeshare. You should only purchase a timeshare directly from Villa Group if you want to avoid a scam. Villa Group timeshare resales are another area of concern when it comes to the dangers of Villa Group Timeshare Scams. There are two ways the resale scams are carried out. The first way is if you purchase a Villa Group timeshare through classified ads and online marketplaces. When purchasing from these kinds of websites, you cannot be sure that the timeshare is genuine, and there is no guarantee from the timeshare company. Sometimes, the timeshare membership simply does not exist, sometimes you think you are purchasing a ten year membership, but there is only one year left, while other times you have to pay outstanding membership fees in order to access the membership (fees that were not mentioned when you bought the resale timeshare). The second most common timeshare resale scam is when you are trying to sell your timeshare and an agent charges you upfront fees or surveyor fees. Sometimes, you have no intention of selling your Villa Group timeshare and you are called about a potential buyer who is interested in buying your membership. In order to get the information about the buyer, you are charged a hefty fee, only to find out that the buyer never existed. This is a typical resale scam. So what is the answer to avoiding a Villa Group Timeshare Scam? Purchase your Villa Group timeshare directly from the Villa Group! 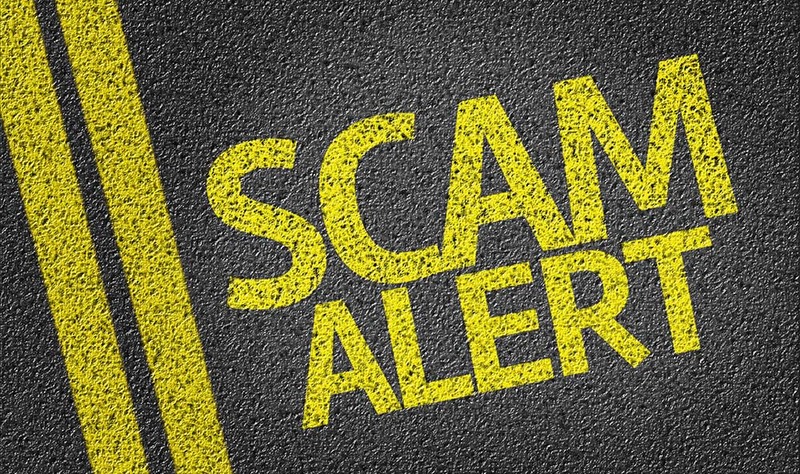 Find out here how to protect your Villa del Palmar Timeshare membership from scams. Scams, scams and more scams: what’s the truth about Villa del Palmar timeshare scams? Those who own a timeshare at Villa del Palmar in Mexico (and those considering Villa del Palmar timeshare ownership) should be aware of how timeshare scams have developed with the purpose of stealing money from tourists and interested timeshare buyers. You may be asking yourself, “Why is it possible for me to get caught up in a timeshare scam when I know I’m with a vacation club agency that is legit?” Well, scammers have gone out of their way to create intricate methods of scamming vacation club members, and that’s why you should be knowledgeable about the following types of scams and what to do about them if one of them should happen to you. Villa del Palmar timeshare scams are not common but like any reputable timeshare you are at risk of being targeted by scammers. Want to sell your Villa del Palmar timeshare? Think again! Resale Villa del Palmar timeshare scams are by far the most clever strategy around because it operates on the premise of someone being available to buy your membership from you. The company sets the trap by claiming to have a buyer interested in purchasing a Villa del Palmar timeshare in your location. Even if you are not in the least bit interested in reselling your timeshare, you may seize the opportunity to transfer the ownership to another person when they offer you such a great price. So, what happens is that Villa del Palmar timeshare owners pay the requested consultation fee to gain access to contact information about the interested buyer. The problem lies in not getting any more feedback from the company once the company has received your fee. An easy Villa del Palmar timeshare scam! Those of you who are Villa del Palmar timeshare novices will sometimes fall prey to cancellation scammers. Villa del Palmar timeshare cancellation scams occur when you get involved with businesses that pose as lawyers who are able —and graciously willing— to cancel your Villa del Palmar timeshare loan. The problem with this is the timing of the cancellation service. These companies offer to do this cancellation service for free and then end up charging you for services anyway. On top of that, you eventually find out that your timeshare loan was not canceled, and now you are in default on the loan because of nonpayment. To prevent falling prey to these Villa del Palmar timeshare scams, just remember that once the cooling period is off, the loan agreement is still enforceable. Want to rent your Villa del Palmar timeshare? Great but beware scam rental agencies. If you desire to rent your timeshare for vacation slots you know you are not going to use, pay attention to rental scams. A rental scam will be orchestrated by a company posing as a rental agent who is able to rent your timeshare for an upfront fee. If you fall prey to this scam, you will have paid money for a service you will not get. Therefore, make it a point to research available rental agencies prior to paying any money. Strive to do business with reputable companies only and companies offering to receive commission payments in lieu of upfront fees. The Member Services of Villa del Palmar timeshare agency should be the first point of contact for reporting any scams you’ve experienced. Your next step is to file a report with your local state attorney general’s office (found on the internet or in your local yellow pages) and the Business Fraud Division of the Federal Trade Commission. Division by calling 1-877-382-4357. The ARDA is another agency you should report to. Just go to http://www.arda.org/advisories and follow the instructions for filing a scam report. Keep a record of all correspondence from the fraudulent company to support your case against the Villa del Palmar timeshare scam. Villa del Palmar Resale Scam – What to do? Your protection as a Villa del Palmar timeshare owner is important for the good reputation of the timeshare industry at large. During recent months, the threat of Villa del Palmar resale scams have escalated and steps have thus been taken to safeguard you against such criminal activities. The authorities are working closely together with the Villa Group and Universal Vacation Club International (UVCI) to catch put a stop to these illegal resale scams. ARDA (American Resort Development Association) has also lent its hand in giving a solution to this prevalent problem concerning Villa del Palmar resale scams. You can check out this ARDA link www.arda.org/advisories and have some ideas about this menace. The Villa Group on its part will help to the fullest extent. You can get in touch directly at memberservices@resortcom.com if ever you see signs that these scammers are planning against you. However, as a responsible member, you must have the initiative to report and make any claims before we can give full assistance. It’s your duty to act and make an official statement to the authorities of the things that happened. Get in touch with the Villa Group and report the occurrences. Contact the Villa Group Member’s Services or UVCI. File a complaint to the Federal Trade Commission through its Business Fraud Division. Call this number 1-877-382-4357. Find your state’s Attorney General’s Office and report what happened. Keep the Villa Group’s member’s services up to date with your progress at memberservices@resortcom.com if these scammers are sending you any written materials or calling you by phone. It is advised that you send all this needed information through email to update your file. They can serve as evidences when filing a case against these scammers. Finally, make a statement with ARDA: www.arda.org/advisories. The Villa Group and all the agencies mentioned are working in your favor, but be sure to make all your reports available. They are vital in our fight against resale scammers.